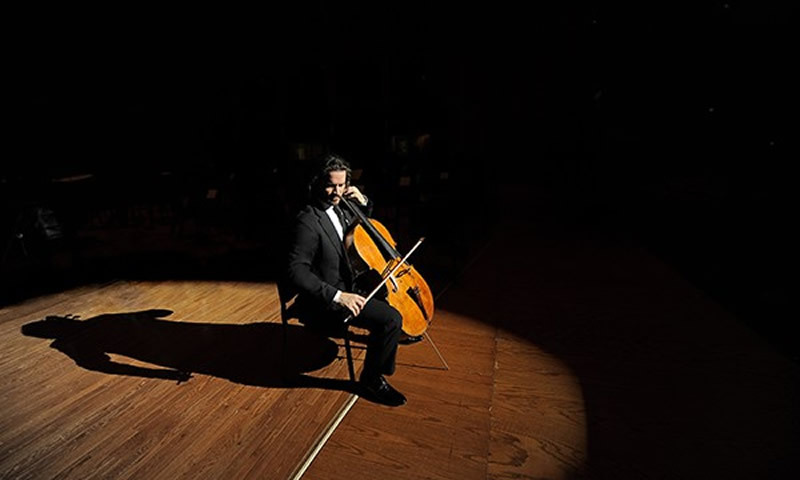 The North Carolina Symphony invites the public to be in the audience as Grammy Award-winning cellist Zuill Bailey joins the orchestra to perform two works for a live album. Strauss' Don Quixote and Walton's Cello Concerto will be recorded live at both NCS concerts this weekend, April 5 and April 6, at Raleigh's Meymandi Concert Hall at the Duke Energy Center for the Performing Arts. This will be Bailey's third recording collaboration with NCS and Music Director Grant Llewellyn. Don Quixote is Strauss' tone poem based on the classic 17th-century novel by Miguel de Cervantes. Strauss excelled in writing programmatic music (music inspired by a specific story or idea) and once stated that anything could be described musically – even "a teaspoon." This work journeys through various memorable scenes from Cervantes' famous story about Don Quixote, who has delusions that he is a knight in shining armor and sets off to find the woman of his dreams with the help of his loyal sidekick, Sancho Panza. Together, Quixote and Panza end up on a series of outrageous and hilarious misadventures. "Strauss paints a series of musical portraits of Don Quixote's ill-fated exploits, from an adventure with windmills to encountering a band of pilgrims," says NCS Associate Principal Trumpet Timothy Stewart. "The Don's musings about the Lady Dulcinea, the imagined woman of his dreams, inspire some of Strauss' most ravishingly beautiful music." As solo cellist, Bailey performs the music representing Don Quixote himself, while Sancho Panza's part is played by a solo viola. Roberto Díaz, Grammy-nominated violist and former Principal Viola of The Philadelphia Orchestra, joins in this live-recorded performance. The charming musical vignettes of Don Quixote are juxtaposed with the deeply introspective Walton Cello Concerto. Commissioned by cello great Gregor Piatigorsky, this work has a unique form, with tender, slow outer movements surrounding a fast-paced middle movement. The solo cello's expressive, lyrical themes soar above the orchestra. Zuill Bailey's previous acclaimed albums with NCS include Britten's Cello Symphony and Prokofiev's Sinfonia Concertante. This third and final recording completes the trilogy.